There's never been a better time to partner with WetCrow.com. Signing up is easy, and you'll be earning money in no time. Do you have a room or vacation place to rent out? 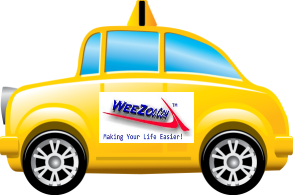 Do you own a taxi, van, limo and want more customer? Do you own a restaurant that delivers? Do you tutor, program, or design? Do you babysit or care for others? Do you offer home improvement services and want more projects? Are you are software guru, graphic designer, or freelancer looking for more work? Are you fed up with poor results on Craigslist or customers who want everything for FREE? Have you tried Internet Marketing and found it takes up too much of your valuable time? Are you tired of paying SEO, Lead Generation, and Internet Marketing companies with poor results? Are you smart enough to realize that WetCrow.com can bring you new customers quicker and cheaper than any other source? If you answered yes to any of the above questions, you can benefit from partnering with us! Make More Money With WetCrow.com! If you are already familiar with AirBnB, GrubHub, SitterCity, Uber, and Wyzant, then you already know how to make money. Maybe you even use these services. Imagine the combined power of one App, WetCrow.com, allowing you to reach larger audiences, due to our combined advertising power! Due to this, we can charge lower commissions, putting more money in your pocket, and keep you busy.